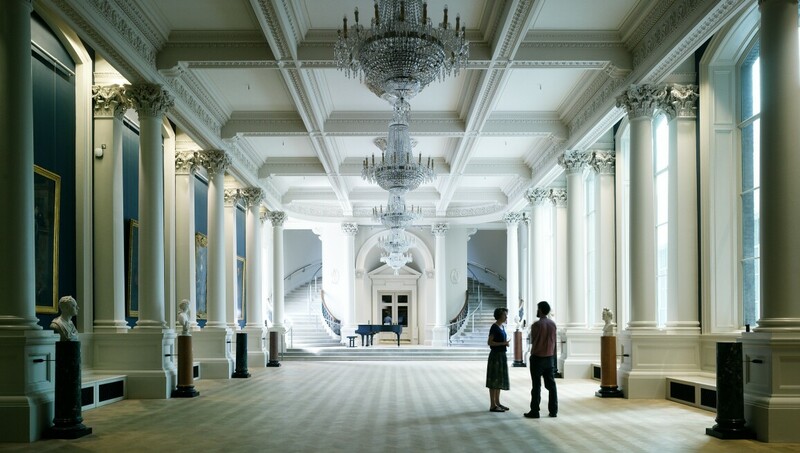 Founded by an Act of Parliament in 1854 and opened to the public in 1864, the National Gallery of Ireland is home to the national collection of Irish and European fine art. The Gallery houses an impressive collection of over 16,300 works of art, complemented by the National Portrait Collection, reference art library and archive collections. The collection spans the fourteenth century to the present day, including the major artists from the canon of Western European art history, such as Fra Angelico, Rembrandt, Caravaggio, Vermeer, Goya, Claude Monet, Berthe Morrisot, Pablo Picasso, Gabriele Münter and Lyonel Feininger. The Gallery’s most prominent holdings are works by Irish artists, such as Daniel Maclise, Nathaniel Hone, Thomas Roberts, Roderic O’Conor, John Lavery, William Orpen, Paul Henry, Evie Hone, Jack B. Yeats, Norah McGuinness and Louis le Brocquy.